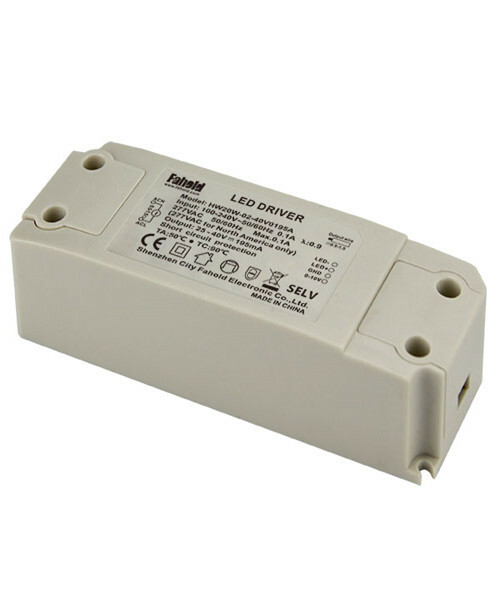 HW20W-02, Flicker free 0-10V Dimmable Led Driver 500mA. 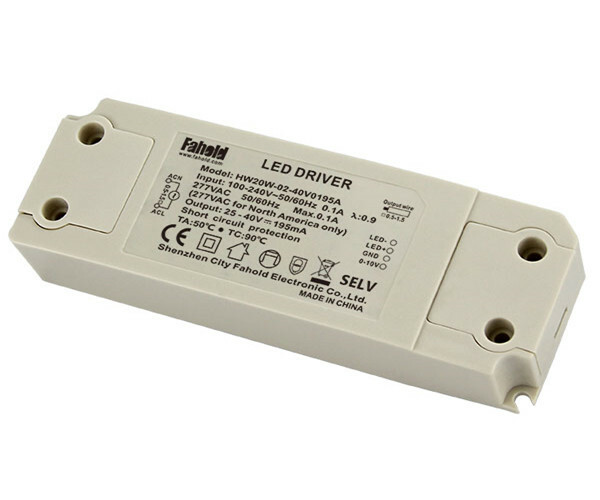 This is an isolated, 20W, 0-10V dimmable Led Driver Design with >0.9 power factor (PF) which meets or exceeds commercial lighting PF and total harmonic distortion (THD) requirements. It is well suited for integral LED luminaires, or ballasts, that use high-brightness LED emitters. The units are suitable for low wattage downlights,Dimmable Led Light Bulbs. HW20W-02, Flicker free 0-10V dimmable, Desigen for high lumen led Downlights, Europe market application. Energy saving driver. Its housing was made out of Hard shell, independent design for the output connection structure, suitable for Europe market. Looking for ideal Dimmable Driver 0-10V Manufacturer & supplier ? We have a wide selection at great prices to help you get creative. 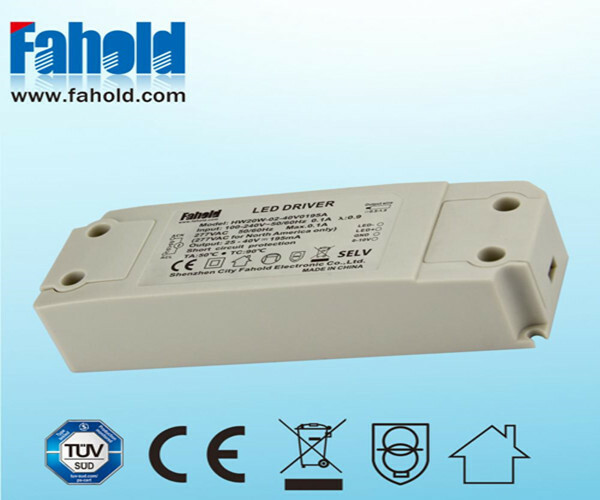 All the LED Driver EU Market are quality guaranteed. 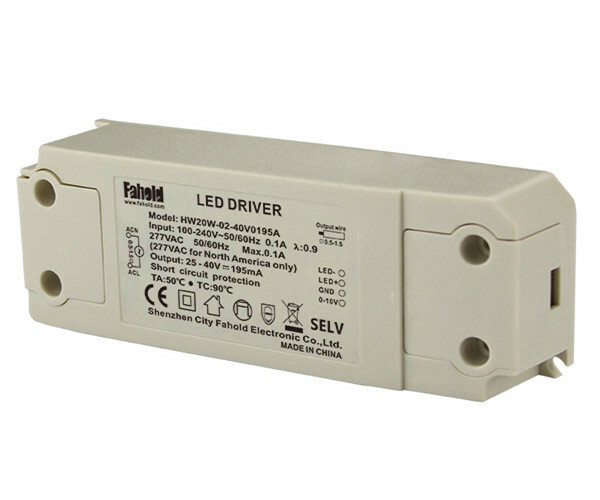 We are China Origin Factory of Led Dimming Driver 0-10V. If you have any question, please feel free to contact us.